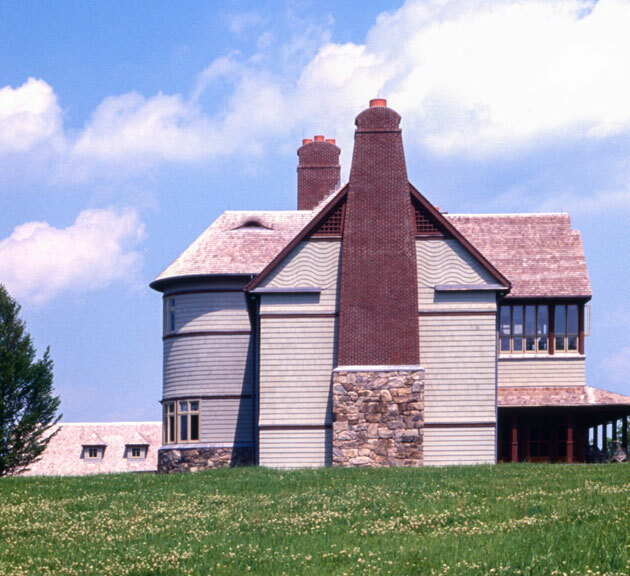 The Fine House, located in Redding, Connecticut, is built on a 125 acres an hour northeast from Manhattan. It occupies the crest of a hill, overlooking the classic local landscape, with large fields framed by stone walls. 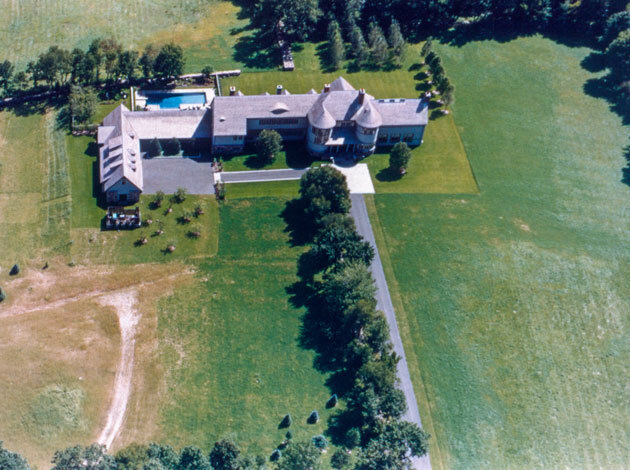 This six-bedroom, 20,000-square-foot house was designed for elegant country living and, despite its size, is surprisingly intimate. Its rooms are clustered horizontally and vertically, so that it can be occupied as a series of discreet places: for the parents, for the children, for the family and for parties. 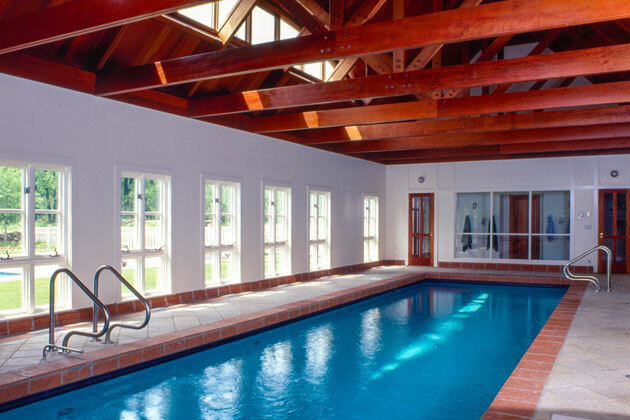 There is great design attention given to the outdoor extensions of the houses and to an indoor pool and an indoor basketball half-court. 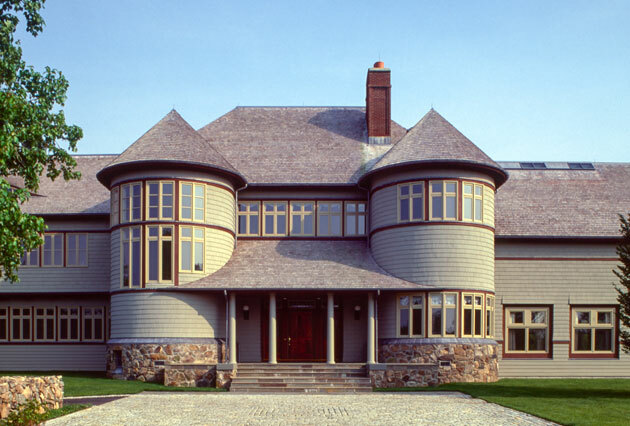 The shingle-style house is very highly detailed and finished in mostly wooden interiors. 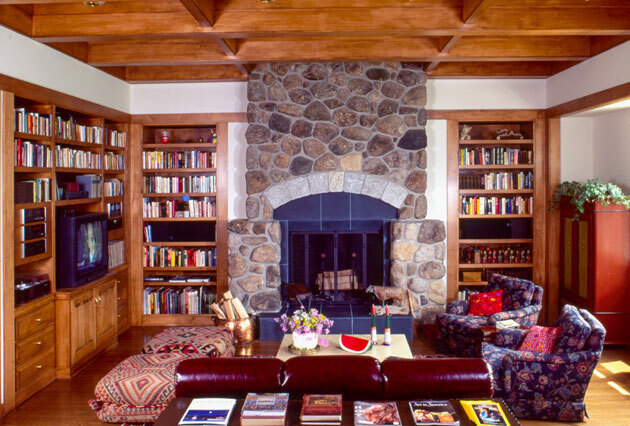 It was built in its entirety by a group of six carpenters from Vermont.